Taxis can be hard to find in this area and most travel tends to be by private car or motorcycle. A cab should cost around 80K from Kuta. Kuta is reached by the main Jalan Ngurah Rai bypass from points north (Denpasar, Sanur and Ubud), and south (Jimbaran, Nusa Dua and Uluwatu). If you are coming in from Seminyak be sure to take the Jalan Sunset bypass and not the congested beach route along Jalan Raya Seminyak and Jalan Legian. 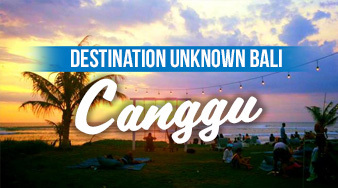 Consider booking accommodation with a complimentary airport pickup as this is the easiest way to get to Canggu. A private bus or van should cost around 150-200K. There is no real bar culture in Canggu, but the trendy designer bars of Seminyak are only a 20 to 25 minute drive away. Keep an eye out for these popular places.